In my previous post on Rice Pudding I highlighted a few facts from Asia about rice like an average Asian eats about 150 kilos of rice annually compared to an average European who consumes just 5 kilos. Check the post to read more such interesting facts. No matter what the facts say, it is true that Rice is a versatile ingredient. You will find it in every cuisine of the world and while the name changes from Pulao to Pilaaf to Fried Rice, everyone enjoys eating it. Rice is easy to digest. It is low in cholesterol, low in fat and high in starch. It is a rich source of energy, as it comprises of 77.5% of carbohydrate (33% of our daily food intake must be carbohydrates). A good source of vitamins and minerals such as thiamine, niacin, iron, riboflavin, vitamin D, calcium, potassium and fiber. Low sugar and no gluten. Rice is a low-sodium food for those with hypertension. A great day for rice. The recipe said wash thoroughly before steaming the rice. It seemed sort of silly, but I took a shower. I can’t say it improved the rice any. Ahem! Jokes apart, most rice recipes can be made in a matter of a few minutes. 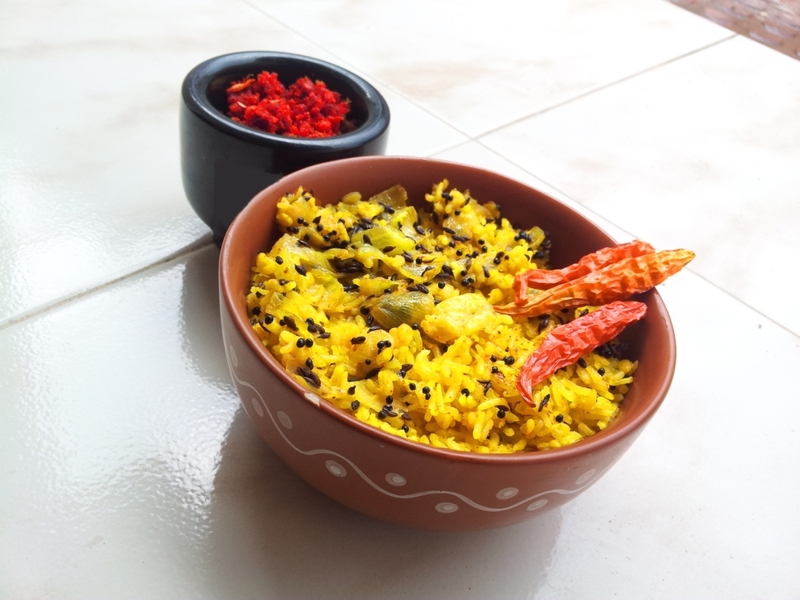 Khichdi (rice with lentils) is one such dish that can be prepared in just about 15-20 minutes. It can be prepared with a variety of Lentils like Mung Dal(golden gram), Toor Dal (pigeon peas), Masoor Dal (Orange/Red Lentil), etc.